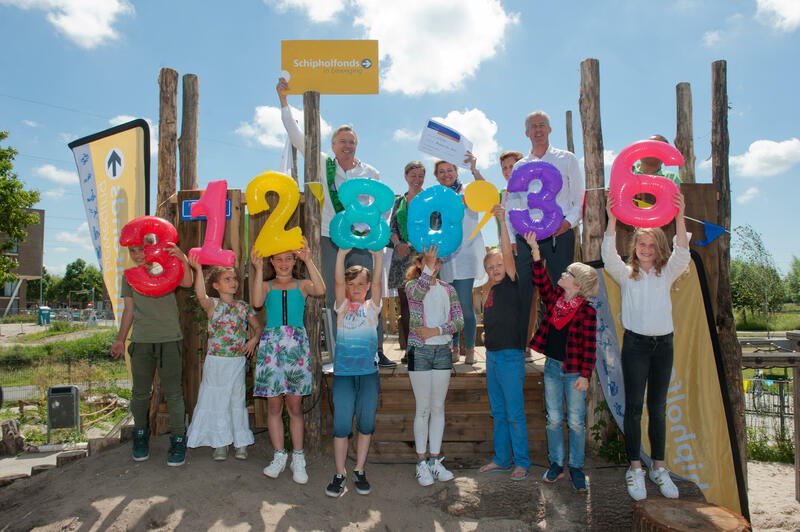 On 13 June 2017, the Schiphol Fund donated € 31,280.36 to Floriande Montessorischool in Hoofddorp to fund their completely renovated school square. Tom Egbers, Chairman of the Schiphol Fund, handed a cheque to Director Egbert de Jong at their very festive opening ceremony. Tom Egbers said: 'The students, parents, team and many others have spent considerable time and effort in the plans to recreate this square. It was a very plain and grey school square. Now it's green and full of physical activities and plenty of opportunities for children to move and play. The Schiphol Fund considers it important that such a project be created with everyone's commitment. It leads to a lot of fun and pleasure gained from exercising for all children'.